UNITED NATIONS, Nov 17 2012 (IPS) - When the late Yasser Arafat, leader of the Palestine Liberation Organisation (PLO), was engaged in a heavily one-sided battle against a robustly-armed Israel in 2000, he admitted the Palestinians were completely outgunned by the Israelis. As the the U.S.-supplied Cobra helicopters rained fire on the West Bank and Gaza, Arafat told reporters, “I have only one aeroplane,” alluding to his single-aircraft Palestinian airline. Even in routine military jargon, an “aeroplane” no longer exists – particularly in an age of jet fighters and attack helicopters – proving how powerless the Palestinians remained as a fighting force against Israel. The PLO’s rockets and machine guns at that time were overwhelmed by an Israeli military arsenal beefed up with some of the world’s most sophisticated military equipment. The air force inventory included F-15 and F-16 fighter planes, E-2C Hawkeye reconnaissance aircraft, Kfir military trainers, Boeing mid-air refueling aircraft, and Apache, Chinook and Sikorsky Blackhawk helicopters – virtually all of them doled out mostly as outright military grants from the United States. And as Hamas, the successor to the PLO, now finds itself in a military skirmish with Israel in Gaza, the long-range rockets falling on Israel are still unmatched by Israel’s missiles, warships, battle tanks, mortar, howitzers and air defence radar. An Israeli fighter plane early this week blew up, with pinpoint accuracy, a vehicle carrying a Hamas military leader and his family. Nearly 12 years after Arafat’s admission of military helplessness, the Palestinians seemed armed only with rockets, mortars, assault rifles and anti-aircraft guns against Israel’s laser-guided bombs, armoured vehicles, battle tanks and armoured personnel carriers. In Middle Eastern politics, it is long established fact that no Arab country – or even a combination of Arab countries – would be able to overpower the Israelis. The latest Global Militarisation Index released last week by the Bonn International Centre for Conversion (BICC) listed Israel as “the world’s most militarised nation”, followed by Singapore, Syria, Russia, Jordan and Cyprus. Dan Darling, military markets analyst for Asia/Europe at Forecast International, told IPS that “in terms of raw firepower and military technologies Israel remains the most advanced military nation in the region”. The defence exporting policy of the U.S., and to a lesser extent other European nations, is the retention of the status quo, he said. “Thus every approved defence sale to an Arab nation in the Middle East is weighed against the consequent pressure brought to bear on Israel’s qualitative military edge (QME)”, he noted. For instance, he pointed out, the next-generation F-35 Lightning II stealth fighter plane has been approved for sale to the Israelis, but is unlikely to get the go-ahead for interested Arab parties until the Israeli Air Force is equipped with the platform and its personnel brought up to speed on utilising and maintaining the aircraft. 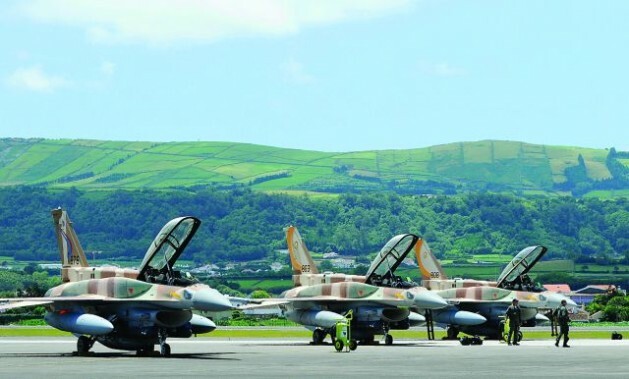 “And even then the number of aircraft and the planes accompanying weapons and electronics suites approved for an Arab country will not be allowed to measure up to the level granted the Israelis,” said Darling. The United States has also helped fund and develop Israeli anti-rocket/mortar/missile air-defence systems such as David’s Sling and Iron Dome. Born in conflict, Israelis realise their country has to maintain a strong national security apparatus, Darling said. On the domestic side, the Israeli defence electronics industry is well advanced in the area of unmanned aerial and ground platforms, he added. In terms of pure spending, however, nobody in the region invests more in defence and security than Saudi Arabia (48-plus billion dollars in 2012). Forecast International, a U.S. based company which also monitors arms sales worldwide, has ranked Israel second, regionally, in terms of defence budgets, at 14.7-15.0 billion dollars, just ahead of Iraq (14.6 billion dollars) and well ahead of the United Arab Emirates (10 billion dollars). According to the 2012 Congressional Budget Justification put out by the U.S. State Department, outright U.S. military grants to Israel remained at 2.8 billion each in 2010 and 2011, rising to 3.1 billion dollars in 2012. The State Department also said that 2009 marked the first year of a 10-year, 30-billion-dollar military financing memorandum of understanding (MoU) with Israel. “U.S. assistance helps ensure that Israel maintains a qualitative military edge over potential regional threats, preventing a shift in the security balance in the region, and safeguarding U.S. interests,” the State Department said. Meanwhile, U.N. Secretary-General Ban Ki-moon said Friday he was extremely concerned about the continued violence in Gaza and Israel and deeply worried by the rising cost in terms of civilian lives. Ban, who is planning a visit to the Middle East, “urgently appealed to all concerned to do everything under their command to stop this dangerous escalation and restore calm”. Meanwhile, the 15-member Security Council met at a late night session Thursday. But there was no decision on how to deal with the escalating violence.